You can choose how much auto-snoozes you want (from 2 till 8). 2 is default value. 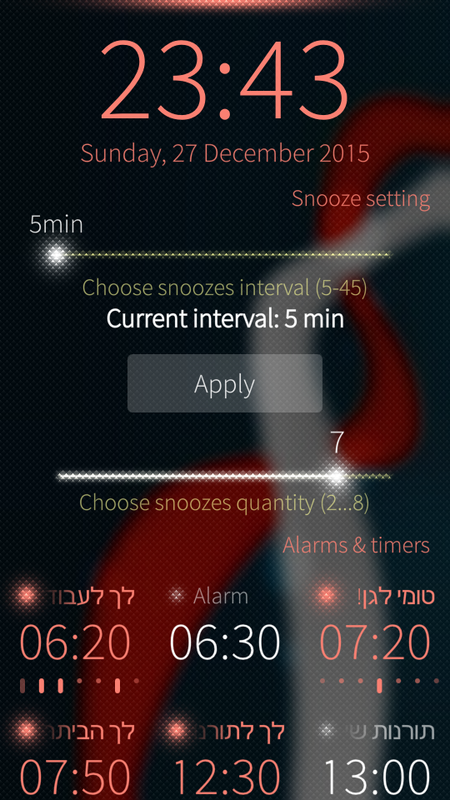 Also you can change snooze interval. Just reopen clock app after applying/removing patch. - QML tuning for v2.1.3.7 and above. - Added icons for z1.25 and z1.75. - Some tuning for QML. - Added TextSwitch for more space. - for v2.0.2.45 (phone & tablet). * Small changes in QML file. * Added snooze interval setting (see screenshot). * Snooze Adjuster app will be removed automatically. * Added removing dconf key after uninstallation. How can I translate the app? On 2.2.1.18 this patch make launch of clock app impossible. Clock app shows its cover with a spinner and then closes. I will check when I will update to new os version. is it possible that due to the patch the time till the next alarm is not more shown in the header after changing/enabling the alarm? I really like this patch. Well done and thanks. 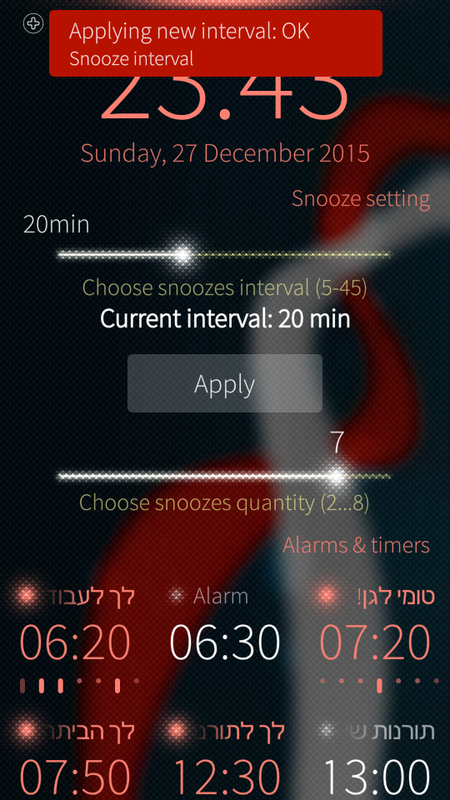 I second the suggestion to move settings for snooze repeats and interval to Settings->Apps->Clock though (i.e. settings for clock) if somehow possible. Hi, it possible, but I don't want. Sorry, I prefer it in the clock app. I set one of my favorite song as alarm. But the song plays it's interrupted at some moment - aparently there is a limit for alarm. Even for standart alarm it may be too short for wake someone up. It would be nice to have possibility to set alarm duration. I really don't know if this is a system limit or just your file not so good... Check with another files if duration is also shorten than a song. - the snooze existence itself tells as the alarm has duration, otherwise - if it is sound until shut up by user - why there is necessity of interval? Need some searching in the clock app files... If I will find something I will add option to increase duration. I don't know if it's possible to add a page for Clock in Settings app. If possible it will make more sense to have this option there, plus others such as the interval between two snoozes. I mean about snooze interval. Unfortunately no. But I can't read the file /usr/lib/qt5/qml/org/nemomobile/alarms/libnemoalarms.so. Maybe some clues there.